Air pollution can have a significant effect on those with asthma and allergies. 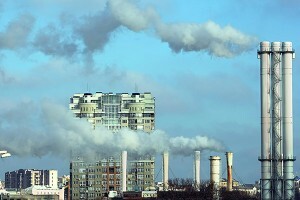 There are two types of pollution that have been shown to be particularly significant. Ozone irritates the lining of our lungs, causes our airways to “spasm”, and increases our responses to allergens. It increases asthma exacerbations with emergency rooms visits and hospitalizations on high ozone days and the days following. Asthmatic children have more exacerbations with exposure to ozone. Ozone impairs infection-fighting cells leading to increased incidence of bronchitis and pneumonia in otherwise healthy children and adults. These tiny particles can penetrate deep into our lung tissues and even get into the bloodstream. The size of the particles are directly linked to their potential for causing health problems. Exposure to fine particles can affect both the respiratory and cardiovascular systems of healthy individuals. It irritates lung linings and stimulates nerve cells which can affect our heart and breathing rates. Particles also increase inflammatory proteins that cause blood to clot easily, leading to heart attacks and strokes. The rates of heart attacks increase within days or hours of increased exposure. Multiple studies show direct correlation between exposure to particulates and increases in asthma attacks and hospitalization rates. Monitor the Air Quality Index, limit outdoor activity on orange, red or purple days. Information provided by Clean Air Carolina. Visit www.cleanaircarolina.org for more information.